Team War Wins 800 SMR National Title! 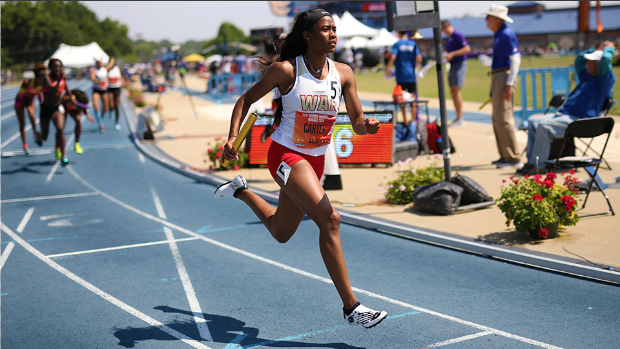 Despite only having four girls at the meet, Nansemond River (Team War), continues to show the nation whose boss. This time they won the 800m SMR (1-1-2-4) National Title. Their time of 1:42.53 is one of the fastest ever run in high school. The relay team was the same as the victorious 4x2 relay from Saturday (1:36.3). The athletes were Tre'Breh Scott-McKoy, Brene Donaldson, Asia Crocker, and Kori Carter.